Gift ideas for family, friends, and host gifts, can become repetitive. A bottle of wine and a wedge of artisan cheese is so 2005. Instead, why not spice things up by making your own barbecue rub. The dirty secret here is that it’s remarkably cheap and easy to make your own barbecue rub. Flavour profile – what are you trying to create? Citrus? Hot and spicy? All purpose rub? Steak Spice? Pick a ‘theme’ for your spice and try to hone in on it from there. If you already make your own spices and rubs, pick your best one and go with it. Any good spice balances sweet, salty, spicy, and earthy with secondary flavours mixed in to make it unique. If you’re experimenting, you always want to maintain that balance. When making your spice, pre-measure the ingredients in mise-en-place bowls before adding to your main mixing bowl. Double check quantities to make sure you haven’t swapped tablespoons for teaspoons or vice versa. Once you’re certain, mix all the ingredients together with a wire whisk. Then sift through a strainer to break up any lumps. Finally, pick out a stylish spice jar to package your barbecue rub. If you’re making a large batch, buy your spices at a bulk food store. They often have spice jars available at a reasonable price. More ornate spice jars can be found in specialty kitchen shops or many reputable online retailers. TIP: A 2 oz. spice jar holds 1/8th of a cup. Scale your recipe accordingly. 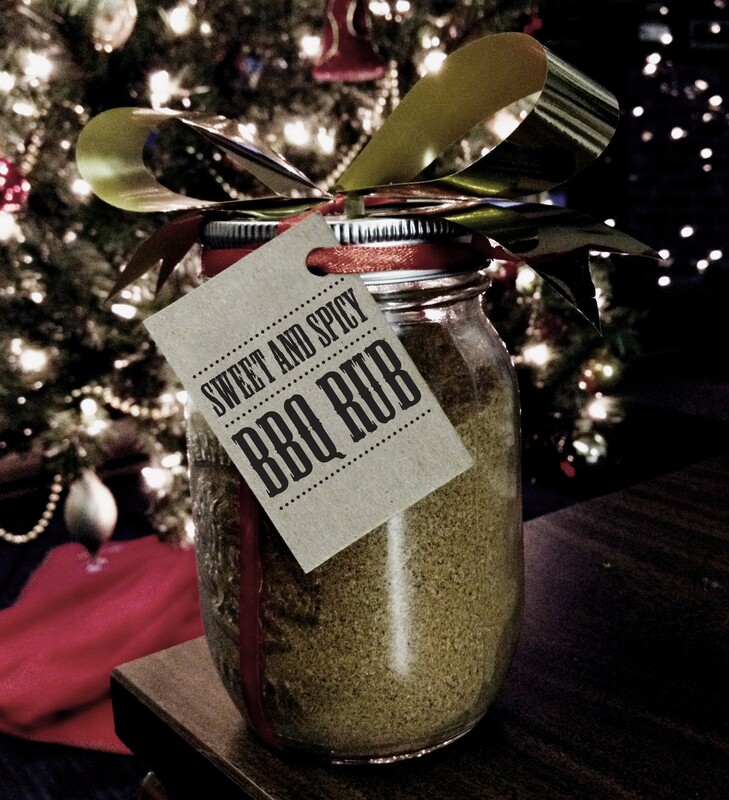 Packaging a custom barbecue rub for friends and family is a way to add a very personal touch and provide a small token of appreciation during the holiday season.